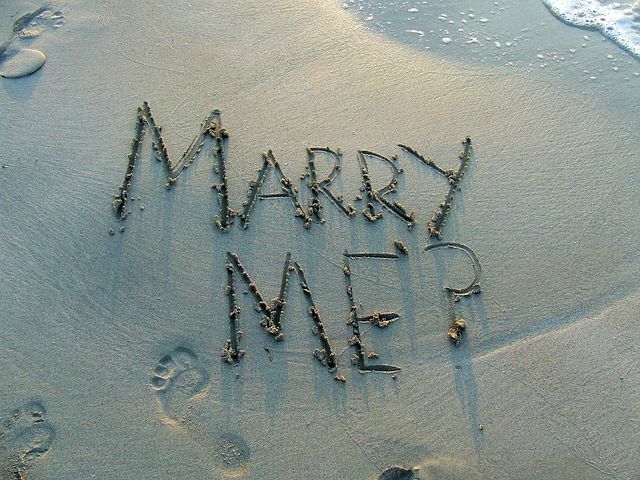 A proposal is a massive milestone in a couples lives; it is the start of their journey as a married couple. Its importance as a milestone should thus be met with an equally important celebration. These celebrations are often the first wedding related festivities to take place, they are usually quite casual and require a lot less planning than other parts of the matrimonial process. As we all know, letting guests know is crucial to any serious celebration, but writing and designing them can be a hassle. So in order to help you get your wedding festivities started, let’s take a look at how to write a proper engagement party invitation. When thinking about what and how to write engagement party invitations, it is best to keep things short and sweet. There is no need for this letter to go into as much detail or be as intricately designed as its wedding equivalent. There is no need to include more than what is needed due to the celebrations often casual nature. An introduction or introductory phrase: This is simply a sentence at the start of the card that explains who is getting married and that you would like the person whom the letter is addressed to come and celebrate. Some couples like to make this something catchy or poetic, but it is up to the couple how creative they would like to be with it. Date: This goes without saying. You must include the date and time of your gathering on the letter you send to guests. This allows guests to plan around your event to give them the best chance of being able to attend. Location: Guests need to know where the celebration is going to be held. This is so that they can plan how to get there and how to get home. It also gives guests an idea about how formal or informal the event is going to be. It gives them an idea of what to expect, giving them enough time to plan around it. RVSP details: Once the engagement party invitations have been sent out it is important to find out who is actually going to attend. Include details on how to RSVP and when they have to do it by. This information will give you a good idea of numbers for you to plan your event around. Using photo cards: If you have quality couple photos already it can be worth considering including these in the letter itself. Think about design: There are a variety of styles, designs and templates to choose from when designing your cards. They can range in style from classic to rustic to artsy. Consider a design that best reflects the type of event you want and the type of couple involved. Addressing the letter: An engagement party invitation is much more casual than a wedding letter. The way you address the guests in this letter should reflect this. Gifts: Traditionally, these types of events do not involve giving gifts. However, it is becoming more and more common for guests to bring them at their own discretion. If you would like guests not to do this, consider including a ‘no gifts please’ notice at the bottom of the letter.